Stormwater Manager Paul Knippel, with a little help from a local husky Eska, shares the problems with pet waste in your parks. 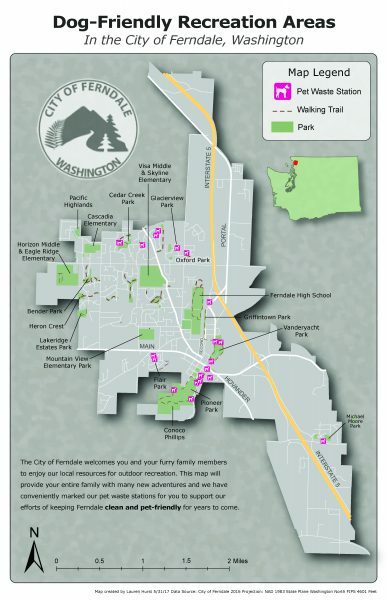 If you would like to pick up a doggie waste bag dispenser, they are available for free at City Hall (2095 Main Street) or at one of the waste bag dispensers on the map below. More information on ways to protect our local water system can be found in our stormwater section by clicking here.